A halo (from Greek ἅλως, halōs; also known as a nimbus, aureole, glory, or gloriole) is a ring of light that surrounds a person in art. 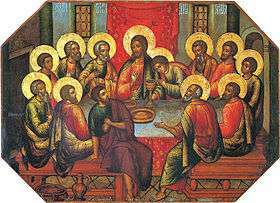 They have been used in the iconography of many religions to indicate holy or sacred figures, and have at various periods also been used in images of rulers or heroes. 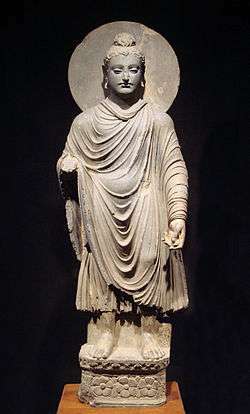 In the sacred art of Ancient Greece, Ancient Rome, Hinduism, Buddhism, Islam and Christianity, among other religions, sacred persons may be depicted with a halo in the form of a circular glow, or flames in Asian art, around the head or around the whole body—this last one is often called a mandorla. Halos may be shown as almost any colour or combination of colours, but are most often depicted as golden, yellow or white when representing light or red when representing flames. Homer describes a more-than-natural light around the heads of heroes in battle. Depictions of Perseus in the act of slaying Medusa, with lines radiating from his head, appear on a white-ground toiletry box in the Louvre and on a slightly later red-figured vase in the style of Polygnotos, ca. 450-30 BC, in the Metropolitan Museum of Art. On painted wares from south Italy radiant lines or simple haloes appear on a range of mythic figures: Lyssa, a personification of madness; a sphinx; a sea demon; and Thetis, the sea-nymph who was mother to Achilles. The Colossus of Rhodes was a statue of the sun-god Helios and had his usual radiate crown (copied for the Statue of Liberty). 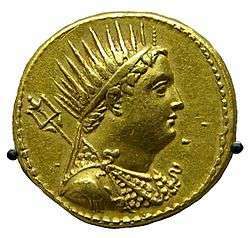 Hellenistic rulers are often shown wearing radiate crowns that seem clearly to imitate this effect. In Asian art, the nimbus is often imagined as consisting not just of light, but of flames. This type seems to first appear in Chinese bronzes of which the earliest surviving examples date from before 450. The depiction of the flames may be very formalized, as in the regular little flames on the ring aureole surrounding many Chola bronzes and other classic Hindu sculptures of divinities, or very prominent, as with the more realistic flames, and sometimes smoke, shown rising to a peak behind many Tibetan Buddhist depictions of the "wrathful aspect" of divinities, and also in Persian miniatures of the classic period. This type is also very rarely found, and on a smaller scale, in medieval Christian art. Sometimes a thin line of flames rise up from the edges of a circular halo in Buddhist examples. 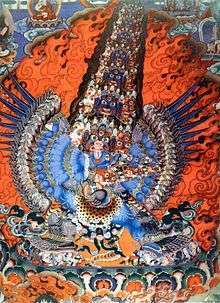 In Tibetan paintings the flames are often shown as blown by a wind, usually from left to right. 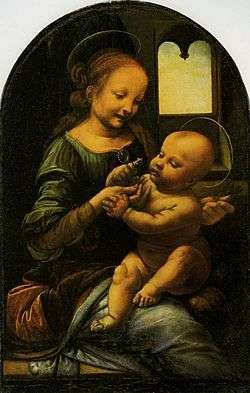 The halo represents an aura or glow of sanctity which was conventionally drawn encircling the head. 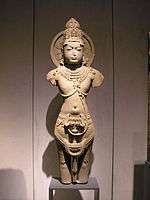 It first appeared in the culture of Hellenistic Greece and Rome, possibly related to the Zoroastrian hvarena - "glory" or "divine lustre" - which marked the Persian kings, and may have been imported with Mithraism. 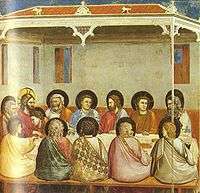 Though Roman paintings have largely disappeared, save some fresco decorations, the haloed figure remains fresh in Roman mosaics. In a 2nd-century AD Roman floor mosaic preserved at Bardo, Tunisia, a haloed Poseidon appears in his chariot drawn by hippocamps. Significantly, the triton and nereid who accompany the sea-god are not haloed. In a late 2nd century AD floor mosaic from Thysdrus, El Djem, (illustration) Apollo Helios is identified by his effulgent halo. 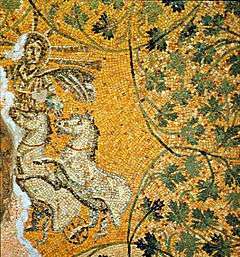 Another haloed Apollo in mosaic, from Hadrumentum, is in the museum at Sousse. The conventions of this representation, head tilted, lips slightly parted, large-eyed, curling hair cut in locks grazing the neck, were developed in the 3rd century BC to depict Alexander the Great (Bieber 1964; Yalouris 1980). 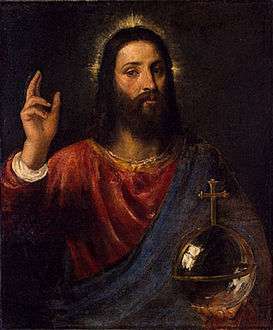 Some time after this mosaic was executed, the Emperor began to be depicted with a halo, which was not abandoned when they became Christian; initially Christ only had one when shown on a throne as Christ in Majesty. Early pre-4th century Mosaic of Sol Invictus in Mausoleum M in the pre-4th-century necropolis beneath St Peter's Basilica - interpreted by many as representing Christ. 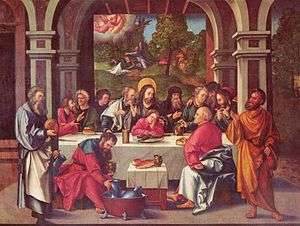 A cruciform halo, that is to say a cross within, or extending beyond, a halo is used to represent the persons of the Holy Trinity, especially Jesus, and especially in medieval art. 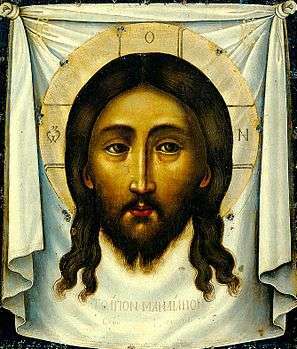 In Byzantine and Orthodox images, inside each of the bars of the cross in Christ's halo is one of the Greek letters Ο Ω Ν, making up ὁ ὢν — "ho ōn", literally, "the Existing One" — indicating the divinity of Jesus. 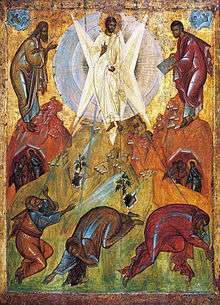 At least in later Orthodox images, each bar of this cross is composed of three lines, symbolising the dogmas of the Trinity, the oneness of God and the two natures of Christ. In mosaics in Santa Maria Maggiore (432-40) the juvenile Christ has a four-armed cross either on top of his head in the radius of the nimbus, or placed above the radius, but this is unusual. In the same mosaics the accompanying angels have haloes (as, in a continuation of the Imperial tradition, does King Herod), but not Mary and Joseph. 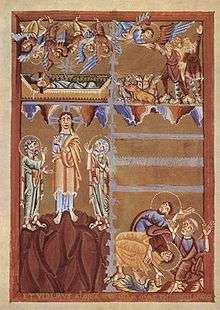 Occasionally other figures have crossed haloes, such as the seven doves representing the Seven gifts of the Holy Spirit in the 11th century Codex Vyssegradensis Tree of Jesse (where Jesse and Isaiah also have plain haloes, as do the Ancestors of Christ in other miniatures). 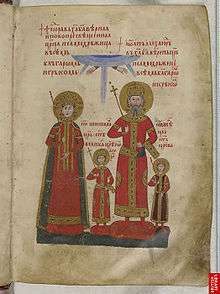 Gospels of Tsar Ivan Alexander of Bulgaria, 1355-56; the whole royal family have haloes. ↑ Harper, Douglas. "halo". Online Etymology Dictionary. ἅλως. Liddell, Henry George; Scott, Robert; A Greek–English Lexicon at the Perseus Project. ↑ Such as the Qianlong Emperor the Qianlong Emperor in Buddhist Dress, and his father. 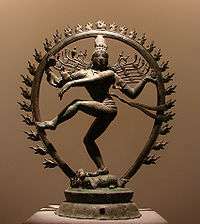 ↑ The ring of fire is ascribed other meanings in many accounts of the iconography of the Nataraja, but many other types of statue have similar aureoles, and their origin as such is clear. 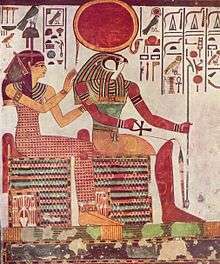 ↑ According to the 1967 New Catholic Encyclopedia, a standard library reference, in an article on Constantine the Great: "Besides, the Sol Invictus had been adopted by the Christians in a Christian sense, as demonstrated in the Christ as Apollo-Helios in a mausoleum (c. 250) discovered beneath St. Peter's in the Vatican." ↑ "Early Christian Symbols" (PDF). 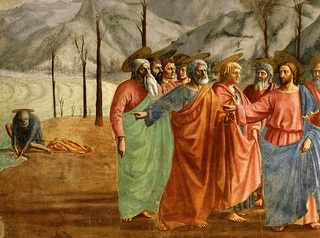 Catholic Biblical Association of Canada. Retrieved 20 September 2011. 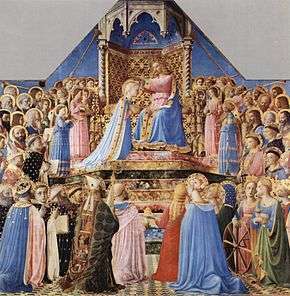 ↑ The distinction is observed in the Christ Glorified in the Court of Heaven (1423-4) by Fra Angelico, National Gallery, London, where only the beatified saints at the edges have radiating linear haloes. ↑ Johannes Diaconus gives the reason: circa verticem tabulae similitudinem, quod viventis insigne est, preferens, non-coronam ("bearing around his head the likeness of a square, which is the sign for a living person, and not a crown") (Migne, Pat. Lat. 75, 231). 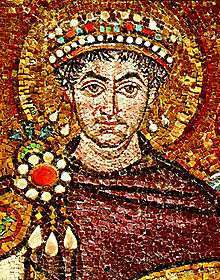 The deacon of Rome was unaware of the Eastern tradition of depicting the emperor with a halo. Surviving examples are rare, and seem to be becoming rarer; Bishop Ecclesius has a clear one in older photos of the mosaics in San Vitale, Ravenna, which appears to have been removed in recent restoration Cupola of the choir - see: James Hall, A History of Ideas and Images in Italian Art, p100 & photo p.93, 1983, John Murray, London, ISBN 0-7195-3971-4. Other surviving examples are Pope Hadrian I in a mural formerly in Santa Prassede, Rome, donor figures in the church at Saint Catherine's Monastery (Queenscu.ca) and two more Roman examples - items 3 and 5, one of Paschal's mother, the rather mysterious Episcopa Theodora. 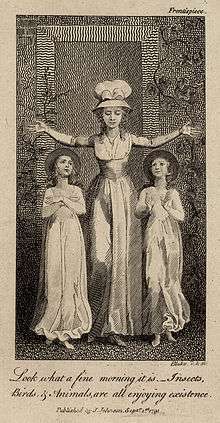 ↑ OED original edition for "glory", "gloriole" and "halo". ↑ OED original edition for "nimbus" etc. ↑ OED original edition for "aureole". ↑ For example by Sickman and Soper, op. cit. ↑ Concise Oxford Dictionary, 1995, and Collins English Dictionary. ↑ op & pages cit. The Catholic Encyclopedia of 1911 (link above) has a further set of meanings for these terms, including glory.